Named the container leader for the North Adriatic back in 2010, the Port of Koper is in the perfect position for continued growth as the South-East European market strengthens and more and more European countries are looking at expansion into the Asian markets. 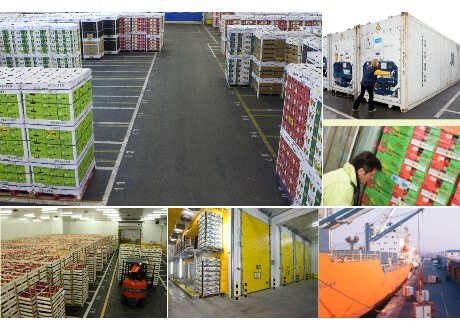 The reefer fruit terminal started back in the 1960's to receive citrus fruit from Israel and was the first in the former Yugoslavia to start operating in this type of service. They now have 290 reefer electrical outlets and 344 at the container terminal. There is XSense temperature cold chain sensor installation, phytosanitary inspection at terminal and ripening facilities for bananas (processing around 1800 tons per month). 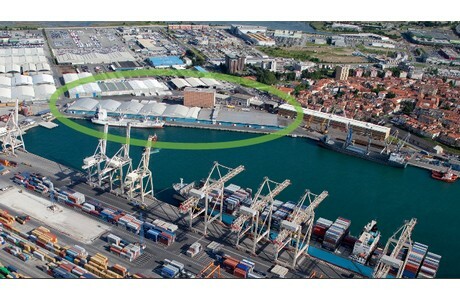 Changes in the market have meant that the port is looking into expanding their existing 280 ha of port area. Dredging is already planned so they can accommodate two large vessels simultaneously in the future. The reefer terminal is located next to the container terminal which makes it possible to perform customs and phytosanitary procedures, which comply to EU standards, quickly and efficiently, so that the goods are able to leave the port within a couple of hours. The Port of Koper finds itself in a perfect situation as the gateway to Europe from Asia and vice versa. The Port has seen a 30% growth in the last year, while other ports saw a decline, and Milena said that she believes that this is largely due to shorter transit times to the centre of Europe and good cost calculations. In a recent study of transport times from Shanghai to Southern Germany, it was proven that the Port of Koper was the fastest port for time-sensitive goods. Geographically, they are the first port of call for Ocean pier lines from Asian destinations. Along with Asia, the port is in a good position to serve European markets, with delivery to most European destinations within 1 to 2 days.